When you’re just starting out in business, one of the hardest things is figuring out how to find your niche. 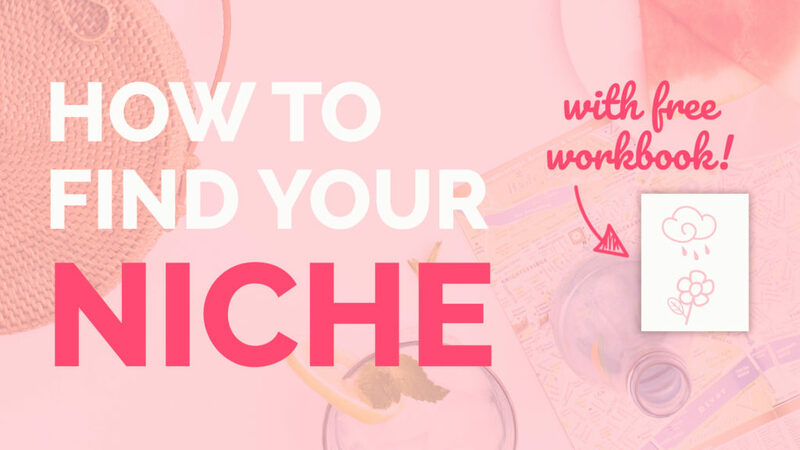 Even though it can be really daunting, taking the time to really define your niche is one of the most important things you can do for your business. Not only does it make it easier to find your ideal client and ensure that your branding is appropriate, but it also gives you focus when it comes to your business. 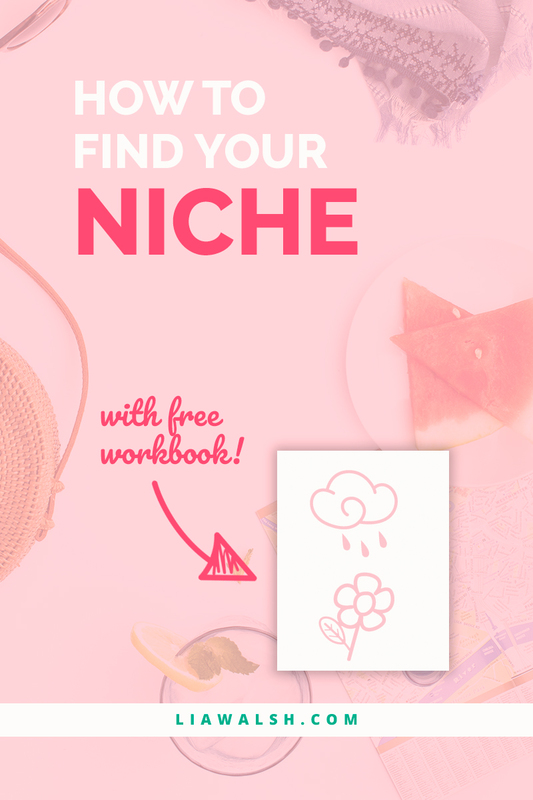 So here’s your guide to finding your niche, step-by-step! Finding your niche is one part knowing what you’re all about and one part describing it as best you can. You probably have a better grasp of the first one than you even realize, because it’s about you and you know yourself best! Often when we’re prompted, we can blurt out a whole bunch of information we didn’t even know was in our brains. The second one is a bit tougher, but don’t worry! We’re here to sort that all out today. There are three simple steps that you can follow to find your niche. Bring your job title to mind. Are you a teacher? A designer? An artist? An assistant? What do you actually do in your day-to-day activities? If this is just a baby idea still, it’s OK! You can also picture a future job title and what kind of work you’ll be doing. Doing engineering work is very different than doing nursing work or hospitality work! Get a general idea if you can’t get more specific just yet. And then move on to the next step, which will help you get specific! Maybe you’ve figured out you’re a designer. But what kind of designer? A graphic designer is very different from a fashion designer, even though you both design things. An English teacher is very different from a gym teacher, even though they both teach things. What medium will you be working with? Will you be working with clients or making products? If you’re making products, are they going to be digital or physical? Is there a genre to what you do (such as in artistic or handmade businesses)? These kinds of questions should help you narrow it down, even if your idea is brand new! See how that’s more specific? If someone just described Ellen’s job as being a host, wouldn’t that feel really incomplete? It’s the same with you! We want to make sure to actually capture what you are. Now that you’ve got your specific job title, the niche is just one step away! Don’t worry! This is the last stage of specifics that we have to go through to get a pretty solid niche! Now that you’ve got a specific job title, you take the specificity to another level to get your niche! Going back to our Ellen example, I would go so far as to say that her basic job description is a TV talk show host and to really capture what she does (her niche) is still a step away. Ellen is nothing like the person who does the “talk” segment on your local news, right? Now, let’s give Ellen a few potential niches. Ellen is a TV talk show host comedian. She is also a daytime TV talk show host. She’s also a progressive TV talk show host. Any of these could serve as her niche, and it would be up to her to decide what to put focus on and market herself accordingly. For one final example, how about my niche? Lia is a marketing coach. But she’s not just a marketing coach. She’s specifically a marketing coach for women. Why? Because women are the actual best. Seriously. And I thought to myself, “If I could work with #ladybosses forever, that would be the dream!” Since I’m the boss, I get to decide who my client base will be. And so do you!! Now try finding your own niche! What do I do differently than my competitors? Who do I serve that others might not? What quirky or specific element of my work am I most passionate about? What am I particularly good at? If you can answer these questions, you’ll be able to find a niche you’re passionate about in no time! Once you have your niche, be sure to keep it in mind while planning any business activities. This will help you create a consistent brand and attract the right clients. I love how you break this down! Great job explaining it. Thanks!! Thanks, Sasha! I’m so glad you enjoyed it!